Brose, one of the lesser known brand names in the e-Bike motor market, has today launched its next generation of e-Bike motors. The brand doesn’t plaster its name all over its product, but if you’re in the market for an e-Bike it’s well worth looking for one that comes with a Brose, as in our experience they’re very natural feeling and quiet. 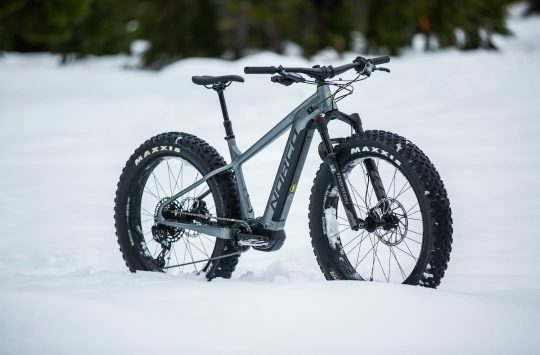 The company has been working closely with Specialized and its motors are in the likes of the Levo and Levo Kenevo that we’ve previously ridden. It’s easy to miss the name on the bikes that have a Brose. With its backround in the automotive industry, Brose reckons it has durability and reliability cracked, plus it has a huge wealth of R&D capability behind it – there’s a whole team just looking at what magnets might do for their products. The motors feature a belt drive and nylon planetary gears (there’s actually not a lot of torque going through them), which is what makes for the quiet ride. 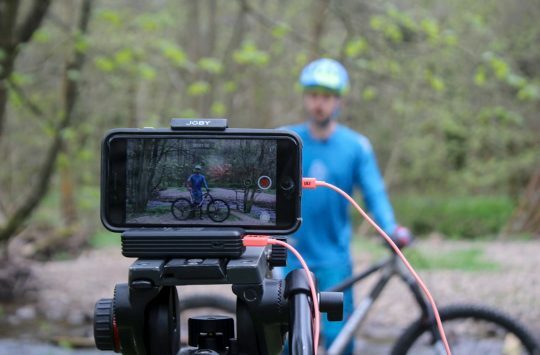 Of interest to bike manufacturers is that Brose doesn’t operate a black box system and doesn’t make batteries, instead with its open system it is prepared to work with manufacturers to deliver the ride quality and required battery attributes a specific bike company is looking for. Today’s announcement introduces the generation 2.0 ‘Brose Drive S-Mag’ motor, which has a smaller, lighter housing which will not only keep the weight down on the e-Bike, but will also help designers incorporate features such as shorter chainstays. 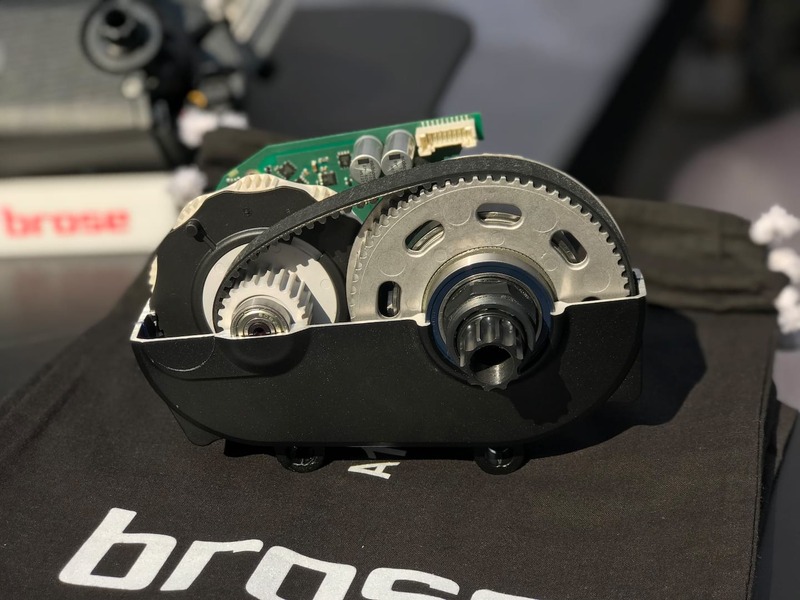 Improved heat dissipation will help the motor keep cool on long climbs, and improved sensors mean a faster response on technical terrain – Brose is keen to avoid the lag in response times that have been traditionally experienced on e-Bikes. 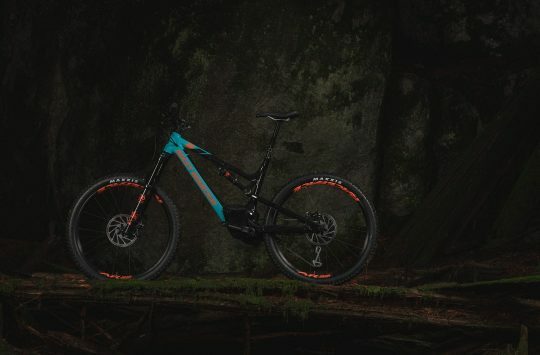 This motor has been specifically designed with the e-MTB market in mind, where a natural riding feel must combine with significant inputs and outputs if the motor is to be successful. This new motor broadens the range of cadence at which you will get maximum torque from the motor. If you’ve ridden an earlier model e-Bike, you might have noticed that there is often a sweet spot of cadence where the motor feels like it is helping you out but not either running away from you or not quite delivering the power you want. This model analyses torque, cadence and speed using even more sensors than previous models to broaden that range – so your sweet spot should be more of a sweet patch. 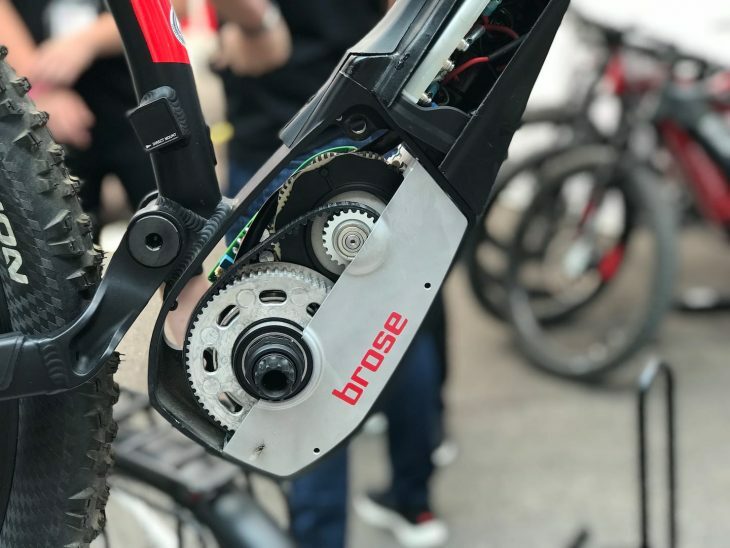 Also of interest to the e-MTB market, Brose reckons their new motor is dust proof and waterproof – so you can ride through the odd water crossing, although you shouldn’t submerge it in the canal. Belt drive helps keep things quiet. 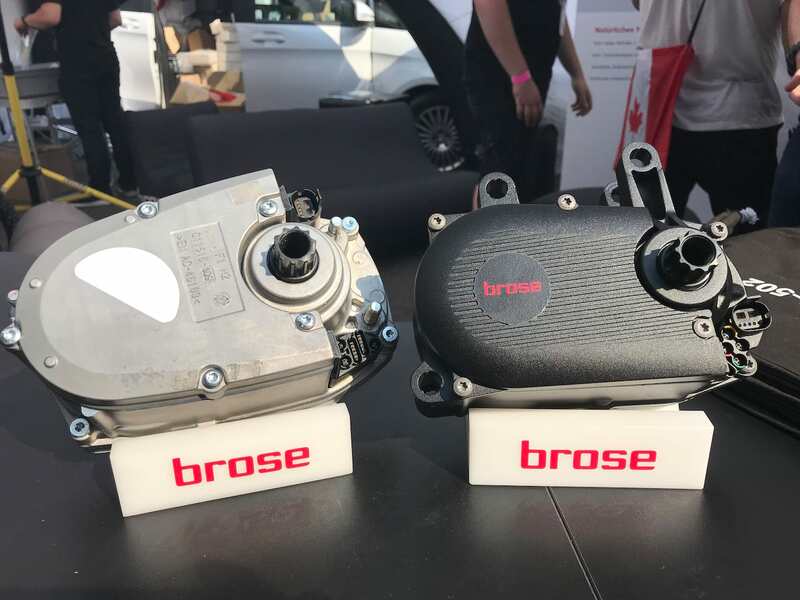 It’ll be interesting to see if more manufacturers make the move to Brose motors in an efforts to deliver a bespoke feel to their e-Bikes.